In the early ’70s, when Murasaki was enjoying its heyday, Okinawa itself was abuzz. 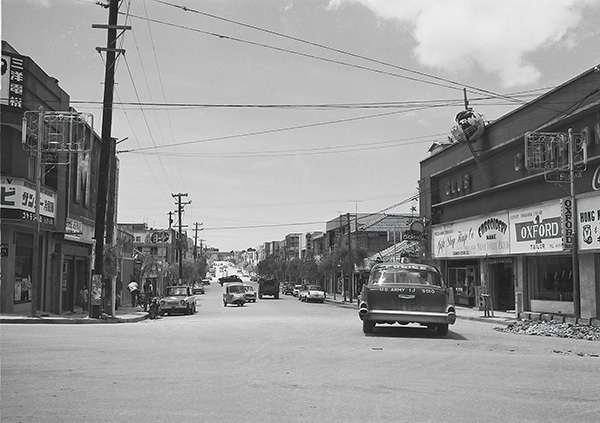 The town of Koza was roughly divided into three sections: the Caucasian rock scene of BC Street and Gate Street, the soul music and go-go dance area preferred by Afro-Americans and the Okinawan entertainment district – labeled Sleepless Town – for the local populace. Each operated independently, but in a sense they blended into one. At that time, the total earnings of the Murasaki band was about ¥1.5 million per month – so much they could build a house with a just a couple of months’ pay. Touted in the mainland as a phenomenal band, Murasaki’s major debut album “Murasaki” released on a Japanese label in April 1976 went on to sell 50,000 copies. They went on to perform as a top level group until disbanding in 1978 after a national tour. eorge is a third generation Japanese American born in Okinawa. Though American by nationality, he was raised with both American and Okinawan culture. While majoring in math at UCLA and studying computer programming, he minored in music and studied piano, pipe organ, singing and so on. It is noteworthy that as the war escalated, the military draft even extended to foreign nationals studying in the U.S. “When I came home to Okinawa during summer vacation, the reality of the war was so much more palpable that when I was in LA. There were trucks carrying dead bodies, a new morgue had been constructed on base, a high school friend had been killed in action. It was so overwhelming … and though it sounds somewhat banal, I just felt I wanted to focus on the ideals of love and peace and spread that message to the world through music,” George explains. aking an interest in avant-garde music, George was particularly impressed with Deep Purple. 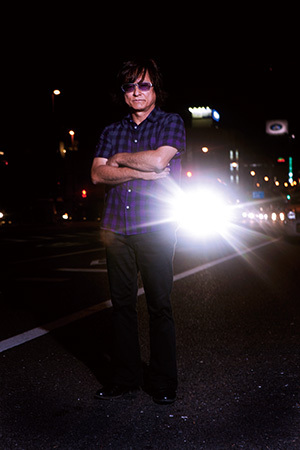 Having internalized the essence of all the different kinds of music he had studied up to that time, he then naturally blended the core elements, and the resulting sound was Okinawan rock. In recent years there have been efforts within electronic dance music to mix the Ryukyuan musical scale with digital sounds. However, it was actually George Murasaki who pioneered this movement 30 years ago. hese days you can occasionally hear George play at his son's live house, 7th Heaven KOZA. 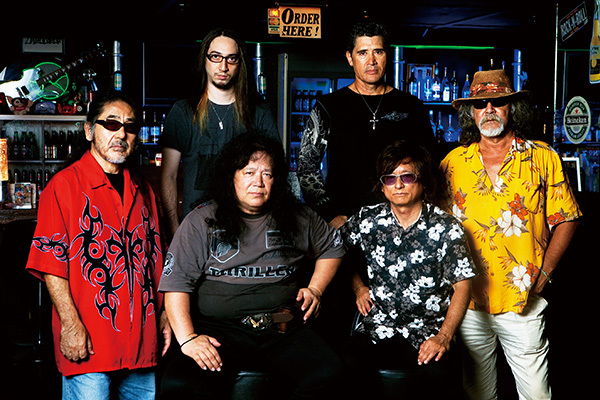 His sons Ray and Leon also perform there with their increasingly popular band, 8-Ball, which has no less vibrancy than the legendary Murasaki.